A banker accused of being involved in $40 million worth of mortgage fraud has worked at several of the country’s major banks. Zongliang Jiang, otherwise known as Charly Jiang, has been charged by the Serious Fraud Office (SFO) for allegedly working with three others to commit mortgage fraud. He has pleaded not guilty to 25 charges of obtaining by deception and 20 of corruptly accepting consideration as an inducement. BNZ confirms it employed Jiang as a mobile mortgage manager until October 2013. 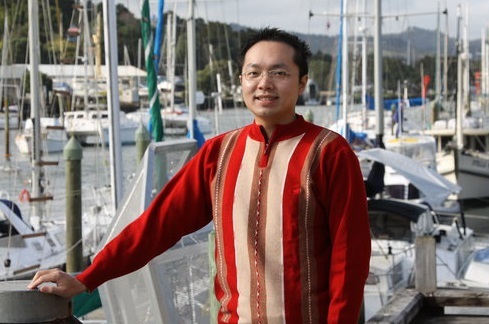 Jiang’s Facebook page says he also started working as a mobile mortgage manager at ANZ in 2013, and was employed by Westpac from 2006 until 2010. While both ANZ and Westpac have declined invitations to verify this, a source has confirmed it is true. An Auckland District Court judge has granted name suppression to the bank Jiang most recently worked for. Its chairman has, however, told interest.co.nz Jiang was hired at some stage before April 2015 and left last year. The other three co-accused of being part of the mortgage fraud ring have denied their involvement.“We would obviously want to co-operate fully with any regulatory authority,” the chairman says. The SFO confirms non-practising lawyer, Gang Chen, otherwise known as Richard Chen, has pleaded not guilty to two representative charges of obtaining by deception, nine of obtaining by deception, and 40 of corruptly giving consideration to an agent. The other two accused face similar charges, but have been given interim name suppression. In 2015 Chen was censured and fined $5,000 by the New Zealand Lawyers and Conveyancers Disciplinary Tribunal after he admitted to accepting money from a client, but not paying it into the trust account he was supposed to for some months. The Tribunal gave Chen a “final warning” that if further conduct of that nature occurred, his status as a practitioner would be “at risk”. He was ordered to reimburse the Law Society for costs of $14,750 and the Tribunal costs of $1,587. Chen was in March last year also fined $1000 and banned from driving for six months, for crashing his car into a parked car and smashing through a fence while drunk. The Herald reports this was his second drink-driving conviction. Chen is no long on the Law Society’s Register of Lawyers. All four defendants will be trialled by a jury and are due to appear in court on April 26. *NOTE: This story was updated and re-published on March 6 after interest.co.nz learnt one of Jiang's former employers has name suppression. It would be interesting to trace their pathway into NZ, whether via student mode, direct immigrant, or wealthy investor category, and their residency status: Permanent Resident, Citizen, or rolling work visa. How many properties have they bought? Doesn't speak well to our banks oversight of employee conduct, background checking or the accuracy of references they are providing about former employees if he took a few different banks for a ride along the way. The banks are actively recruiting recent immigrants who particularly match the nationalities of potential high net worth clients from non-NZ countries. Bilingual or multiple language ability is also a valuable skill that banks are very keen to employ to engage potential new clients ( new NZers, or semi-offshore/temp NZ visa-holders). Regulation is always bad. Market participants always have perfect knowledge. Unless they don't. In which case, fraud is good. It will will incentivize the attainment of perfect knowledge. Vote for more markets this September. Knowledgeable ones. See people like that just think that they're "Gaming the System," and $40 million worth of mortgage fraud is probably just a drop in the ocean to them. High time for NZ to crack down too! Classic sign of a bubble in progress - more fraud. These immigrants make a really wonderful contribution to New Zealand Society, ask Bill English - just like those Chinese selling Methamphetamine "P" to our school kids (heaven knows the collateral damage that well be) and again huge resources spent i.e. operation ghost http://www.nzherald.co.nz/nz/news/article.cfm?c_id=1&objectid=11770151. They must be the dudes supplying our unemployed. One question I have regarding immigration - that I've never had anyone offer a satisfactory answer to: Is it realistic to import large numbers of people from countries rife with corrupt practices at every level (not just government) and expect that they will all about-face and cease all such corrupt practices once arriving in New Zealand? If we import - for example - a bunch of people from city X in a highly-corrupt country - and plonk them straight into a suburb together, are we expecting there will be a wholesale change in practices without any assimilation needed? It seems to me we need a mix and quantity of immigration that has a chance of assimilating and adopting Kiwi values - including low corruption, acceptance of homosexuality, endorsement of the rights of women etc. Most immigrants I know personally are seeking NZ because of strong rule of law, and are definitely law-abiding and great people, but they are also aware of a massive amount of corrupt practice going on in some of their own wider country-of-origin communities here. Yes that's been perplexing me too. Especially as we discussed with Ron how NZ gets way with been seen as so squeaky clean and there's clearly high levels of money laundering being channeled in to the housing market particularly Auckland. And yes even the UK makes sure that new Immigrants that are seeking citizenship have to meet certain standards such making sure they maintain values before they're granted British citizenship. But there's nothing like that here, you just pay the fee basically. Not one word mentions the subjects of this story immigration status, or whether they are immigrants at all, but every comment so far assumes they are. Kiwis aren't racist or xenophobes are we? Yeah right! Fair point - it's unclear. Some of his censured behaviour included payments in Chinese currency, but that's inconclusive.